Our Binding Router Jig has a predrilled carriage designed for square base Bosch Palm routers, if you have a different router you can still easily attach it to the binding jig with the Elmer Router Mounting Template Kit. 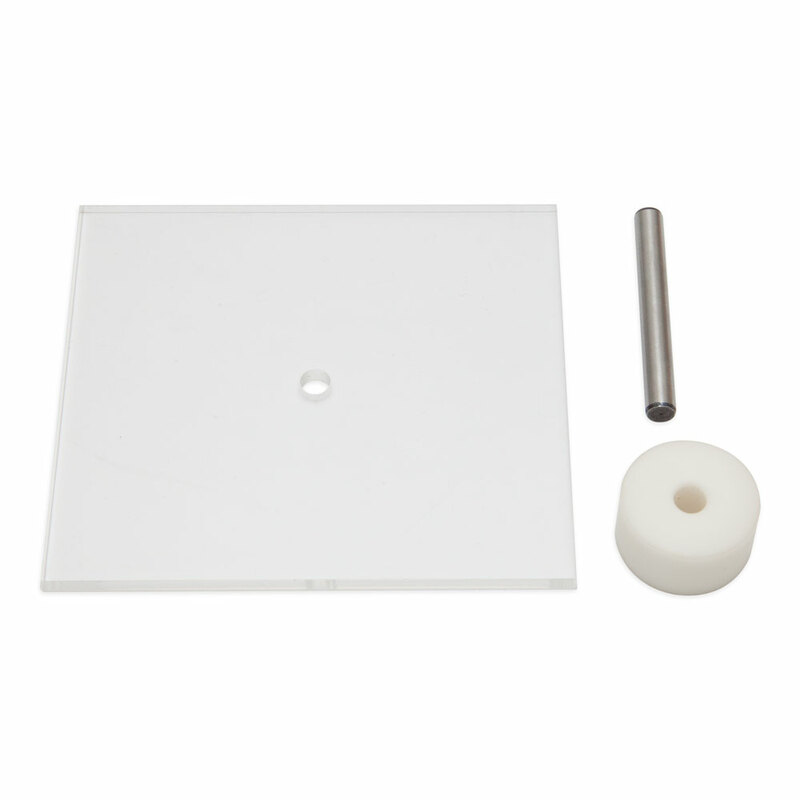 This simple kit has a guide pin, a drilled transparent plastic template to match the guide pin and a guide ring. Remove the baseplate from your router, mount the guide pin in your router and mount the template over the guide pin, mark the screw holes that fit the router baseplate on to plastic template, remove the template and drill these holes in the template (matching the hole size from the router baseplate). The plastic guide ring matches the centre hole in the binding jig carriage, use the guide ring and pin to align the template on the carriage and clamp in place, use the drilled holes in the template as a guide to drill matching holes in the carriage. Use the existing screws from your router base to mount the router to the carriage. When positioning the new holes in the carriage take care not to drill too close to the existing factory holes, you may need to rotate the template until the new holes reach a good position on the carriage (also check that the carriage can move up and down freely on the jig with the router in this position).